This week, Lou’s job is at risk, so Mary rallies the troops to come to his aid. 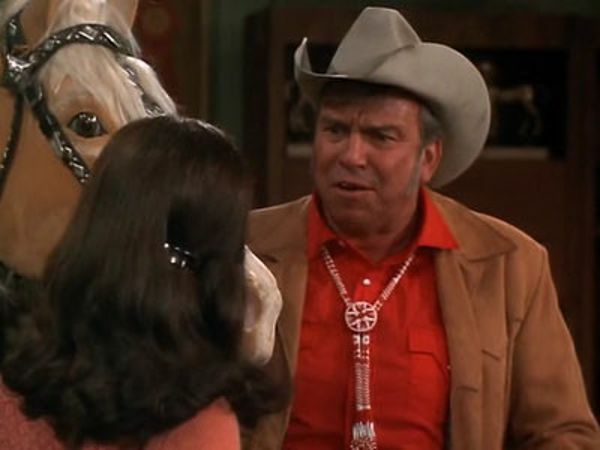 It takes the help of the rowdy new station owner, Wild Jack Munroe (Slim Pickens), to get Lou reinstated. All in all, it’s a relatively innocuous end to the first season of The Mary Tyler Moore Show. However, that doesn’t stop us from making it a great end to our first season of After All: A Mary Tyler Moore Podcast! We take the opportunity to discuss some of our favourite episodes this season, what we’re looking forward to in season two, and cliffhangers! Naturally, we had to talk about Dallas, and who shot J.R.? So tune in one last time this season, and we’ll see you again in September! That’s it for season 1, folks! Let us know if you want any special content in the in-between! Want reruns? Want us to look into doing some interviews and extra episodes with people from around the world? Reach out! We love to hear from you!